It’s no secret that the beauty industry is a highly competitive field. With new salons and product lines popping up at a rapid pace, building a strong brand identity is an essential part of owning a business, and one of the most important assets you can use to help set your salon apart from it's competitors. Building a brand can take a good amount of time, effort and resources, and can often be challenging if you don’t know where to begin. If you’re developing a new brand for your salon, make sure you are on the right track to building a strong brand that represents your salon and attracts the clientele you want by asking yourself these 5 questions. 1. What is your salon’s personality? If your salon were a person, would you describe it as “lighthearted and bubbly”, or “elegant and disciplined”? Defining the personality and essence of your salon is important, and the answer should be reflected throughout your branding. The goal here is to let customers know what the atmosphere of your salon is before they even schedule an appointment, so you can feel confident you are building relationships with potential long-term clients from the first interaction you make with them. 2. What are your client’s needs? Building your salon’s brand is more than a one-person job — it requires input from you, your staff and, most importantly, your clients. The customers you have can help you determine the direction you need to move in while developing your brand. If the majority of your clientele are looking for an environmentally friendly salon that focuses on all-natural products and treatments, being aware of this will help you work it into your brand to further cater to your audience. Spend time studying competing salon’s brands and identities to help you decide the direction you should be taking with your own brand development. If your closest competitors pride themselves on their exclusive, boutique-like atmosphere, it may be beneficial for you to take more of a low-key, down-to-earth approach to set yourself apart. 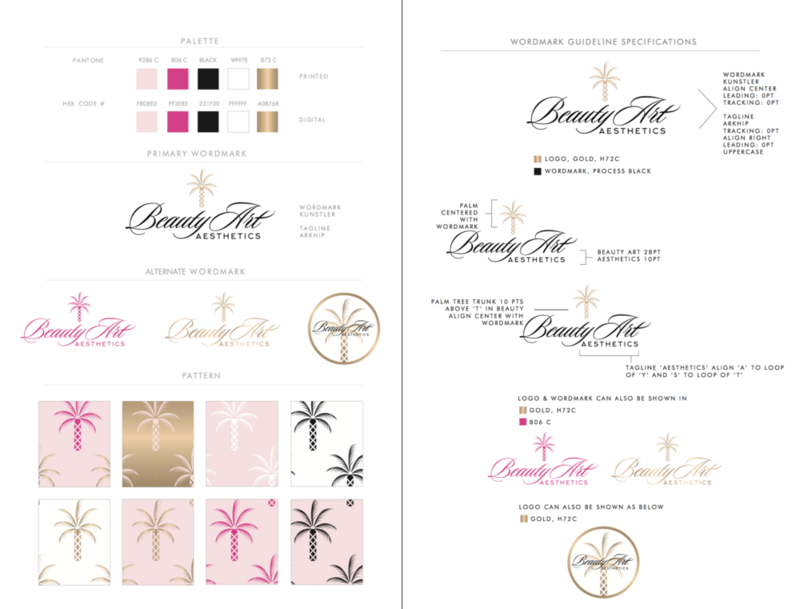 Creating a brand that is memorable and unique will help you stand out from the other salons in your area as well as in the minds of your clients. 4. How will you be consistent? Being consistent is one of the most important aspects of developing a brand. If there’s no cohesiveness to your website, business cards, and salon’s exterior and interior design, clients will not know what to expect from your business. Make sure the decisions you make about colors, visuals and word choice are consistent to help bring strength to your salon’s brand. 5. How will you get your brand out there? So you’ve developed a unique, cohesive brand — now it’s time to get it out there. Set up a website and social media accounts that also reinforce your salon’s brand, and encourage your clients to spread the word through posts on Instagram and Facebook, and by taking part in a client referral program. You and your team shouldn’t be the only ones pushing out the brand you have developed — your clients can help with this process in a genuine way while attracting other potential customers. A salon’s brand should be carefully crafted to ensure it represents the salon in an authentic way. If developed correctly, your brand can help persuade clients to choose the services you offer over others. By asking yourself a few questions before you begin the process of developing a brand for your salon, you can be sure you are not only setting yourself apart from competitors, but also attracting the clientele you desire. Building a brand is the first step to salon success, and can have a huge impact by helping boost your business and increasing client satisfaction.